If your computer is using a Microsoft operating system, .ocx files are present and abundant throughout your hard drive. What are .ocx files and what do they do? ActiveX controls (.ocx files) are used within Internet Explorer. Closely related to .ole files (object linking and embedding), the .ocx extension (ole control extension) allows developers to create and use customized user interfaces and elements on those interfaces. These files provide a certain level of flexibility for developers by allowing them to integrate with other interfaces, as needed. Files with the .ocx extension are associated with ActiveX controls. Packaged with Microsoft Windows, ActiveX is a small piece of software that is integrated with Internet Explorer. It also assists with operations like animations and helps with the installation of Windows Updates. It is important to note that you determine which ActiveX controls you download. A variety of visual website applications request ActiveX downloads. What do I do if I do not want to install an ActiveX control from a questionable website? Avoid installing ActiveX controls from malicious websites. 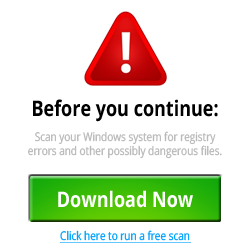 You are not required to download ActiveX controls to use the Internet or Internet Explorer. Anytime you receive a notification or pop-up from a website you do not trust, simply press ‘Don’t run’ on the ActiveX window or close the browser. If you have installed an ActiveX control you no longer want, you can disable and/or delete it. Default controls and add-ons can be disabled by the user but they cannot be deleted. Remember, only those controls that were downloaded and installed by you can be deleted. If it is a system control or an add-on, you can only disable it. For more information, see the official Microsoft page on ActiveX. If your experience has changed drastically following the installation of an ActiveX control, verify the source from where you downloaded the control and double-check the control that was installed. Make sure you install applications correctly – Instead of copying a folder or directory to run an application, be sure to progress through the setup instructions. This will allow the application to make necessary registry entries and setup the file locations on your system. Be sure to properly uninstall applications – Instead of deleting the files manually, be sure to use the Add/Remove Programs feature to properly uninstall applications on your computer. Failure to do so may result in incorrect registry entries, improper directory listings, and the possibility for errors with seemingly no solution. Having a separate anti-virus program and malware scanner can make your computer more secure. Be proactive instead of reactive – Most people wait until their system is infected before they do anything. Being reactive instead of proactive may cause loss of files and personal information. You should have at least one program that scans your computer, and some experts suggest having a separate anti-virus program and a malware scanning program for an extra layer of security. Aside from the possibility of spreading malware (as is present with nearly every filetype), one of the largest downfalls of these files is the lack of interoperability. Certain Microsoft technologies have built a reputation for being less flexible than other applications. One software program used for creating .ocx files is Microsoft Visual Studio (proprietary). Support is relatively limited for the objects used in .ole files. This means that files either replace the object with an image, or fail to display the object at all. For more detailed information about specific files, you can look through our entire .ocx files archives. For simplicity, a few excerpts are included below as well. I found a lot of helpful information on how to fix my .exe error and they gave me the step-by-step information on how to stop that error and prevent it from happening again!